How do you create excellence in the workplace? You would be surprised the number of immature people we have in the workplace nowadays. The tantrums, the yelling, the throwing of things and outright expression of emotions that is detrimental to work and the office environment. Emotional maturity is an expected trait in the workplace, especially when excellence is expected at work. To be mature at work is a way of bringing excellence in the workplace. To be mature means you are very self-aware of the how you feel about yourself. This self awareness makes you conscious about your feelings and why you feel the way you feel. You put it under control or you do not feel the need to show it so openly that it affects your colleagues in the workplace. You must know the demonstration of these emotions can affect the morale of people around you. You need to learn to be sincere with yourself before you can have a certain amount of maturity; ie. the maturity you bring to work everyday. Learn to be sincere with yourself with the kind of sincerity that disarms the dramas that feels compelled to come out and yells to the rest, “Look at me, look at me.” There is no place for this sort of immaturity at work. You need to do better if this sounds like you. If you want to bring excellence in the workplace, learn to adjust, modulate and direct your emotions. Think before acting and understand that your actions can affect the rest, especially team member who works closely with you. How can someone approach you if they feel you are in a foul mood and days on ends? How effective and efficient can you be then? How will people around you achieve excellence in the workplace? Learn to change as this will ensure that excellence in the workplace can surface. When you are open to change, the path opens to opportunity that never presented itself as everyone is fearful including yourself. It’s just something you never noticed due to all the drama from immaturity. It is something you did not realize and the time to reflect upon your actions. Maturity allows you to understand that passion and persistence to pursue goals at work beyond monetary returns gives you a purpose of service in life. With passion, persistence and patience, excellence can be achieved in the workplace. You as an individual can inspire the rest to show their best at work without even trying too hard because you would have already created the environment to do so. When you behave maturely at work, you become discerning. You know small acts can carry big meanings. Just like a mother who pats and encourages a child. A small act but it helps the child build confidence. Maturity brings excellence in the workplace because it allows you to respect and appreciate the work others do, and not look at it as an action to gain favors. More importantly ego is parked aside because of the level of maturity as a professional. Maturity must exist if you want to have excellence in the workplace. A work place that is filled with people who are mature, ask how things can be done better. They do not ask why it is not done my way. Parking ego aside, more work can be done better and more efficiently. That can only come when maturity is an element everyone expects to carry to the workplace. 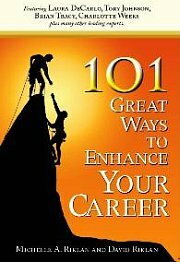 For more articles related to "How to achieve excellence in the workplace", click here.